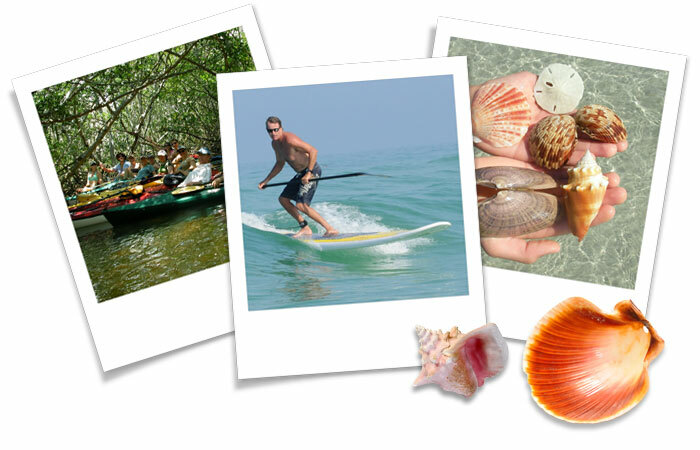 "Promoting conservation and fitness through education and adventure"
We design a customized kayak or stand-up paddleboard outing in Sarasota Bay, Florida suited to your abilities and interests. We also offer combined kayak/yoga or paddle/yoga classes. See our class and destination descriptions by clicking the tabs at the top of this page. Call or email us today to learn about what we can offer you. Life's an adventure...let's go paddling!